A sauna doesn't need to be hidden in the basement of your home, next to the swimming pool or even in the bathroom. Wouldn't it be amazing to head out to the forest or garden and enjoy the steam and sweltering heat of the sauna, while being surrounded by the beauty of nature? 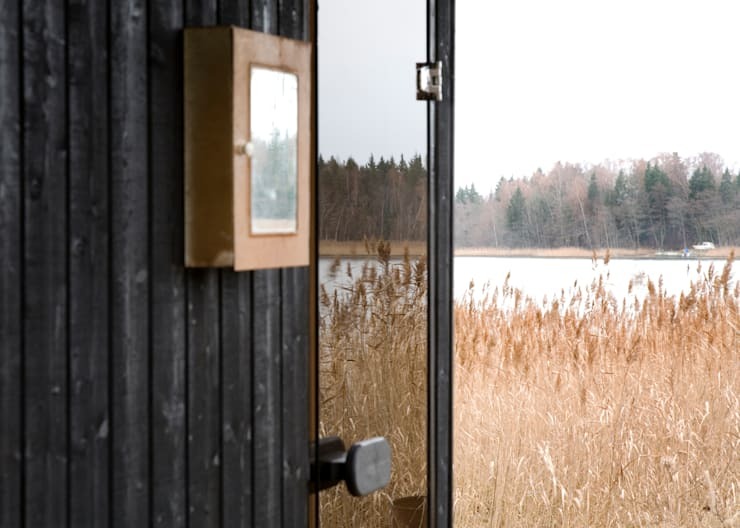 A sauna is a great place to relax and get rid of toxins that have built up in the body, so why not take your sauna experience to the next level too and enjoy the crisp fresh air on your way back to your house. Make your home spa memorable and attractive by incorporating it outside. Have you ever gone camping in the great outdoors and experienced the rush of the cold air, as you leave your tent? 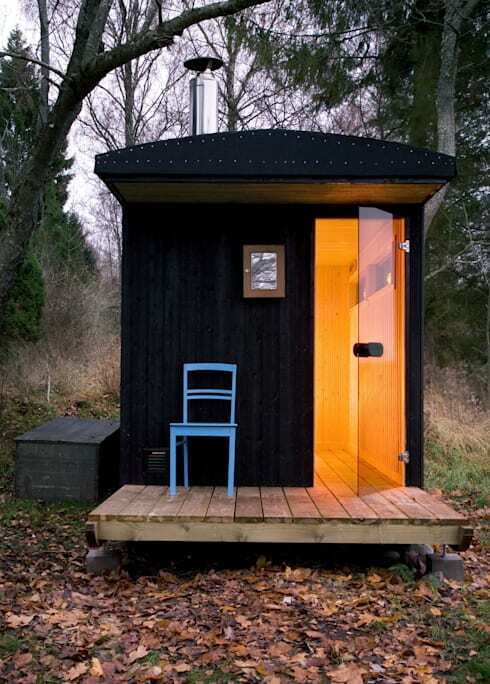 There is nothing as revitalising as fresh air in the morning and this outdoor sauna allows for plenty of that. This luxurious and essential wooden structure by the architects at Denizon Works fits in perfectly with its forest surroundings. A sauna is a fantastic way to relax and cleanse the body and mind. Saunas are a regular feature at homes in Nordic countries and although they are reserved for wellness clinics and day spas in other countries, this therapeutic space can be a lot more worthwhile in the home. 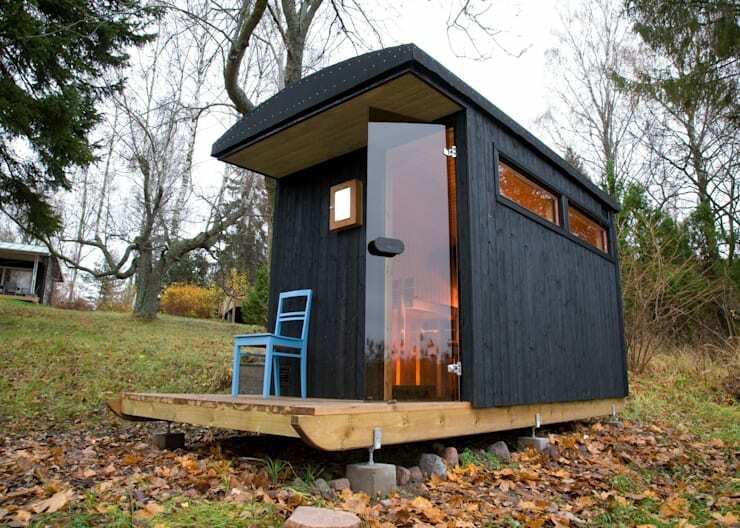 And from this angle, the sauna can just be appreciated for its modern style. The sauna is an excellent form of stress relief, allowing the body to sweat and release endorphins, while also improving muscle circulation. Saunas can have a fantastic effect on other aspects of the body too, such as the skin, getting rid of allergies and even helping the body to combat the flu and viruses. 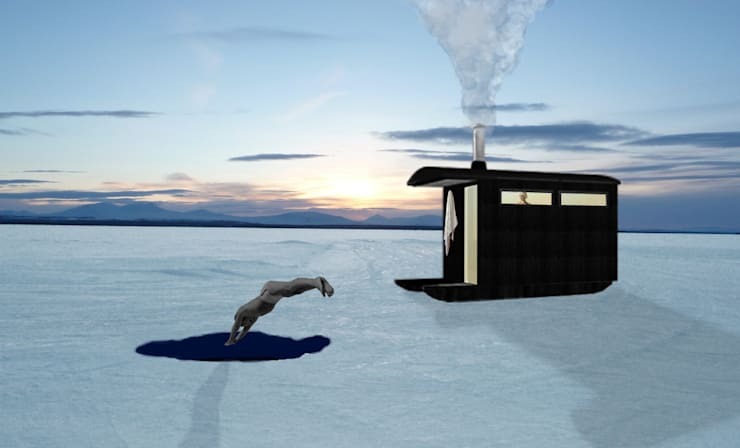 Imagine stepping into the sauna in the afternoon and exiting at dusk, now wouldn't that make for an awesome experience? A sauna is not just for one person, consider making it a social occasion and call some friends over weekly to relax together, while working on wellness and overall health. Those bitter winters won't be so cold after all that sweat and steam. Now just imagine a view such as this on a lake when you leave your personal sauna. So fantastic! A closer look at this sensational sauna shows off its modern take on the traditional, the materials are a combination of classic wood and sleek glass. It fits perfectly in with the forest surroundings while also being attractive and inviting. 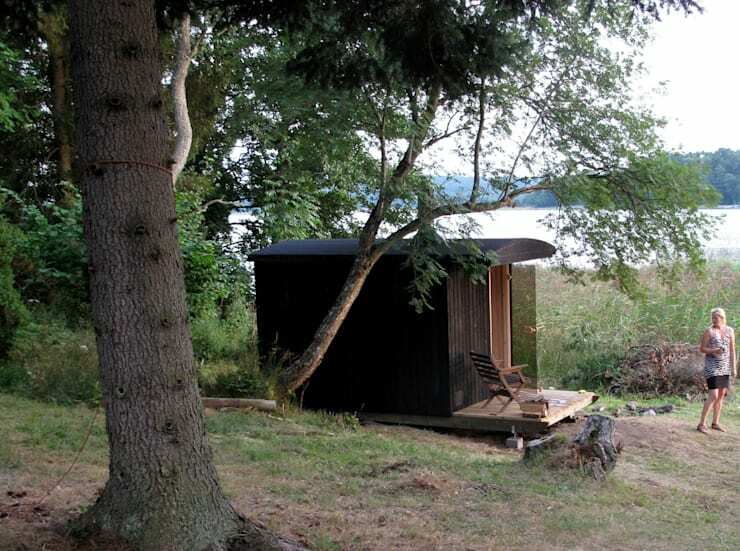 Now just when you got used that forest setting, this image shows us that this sauna will be perfect in any environment, whether surrounded by lush greenery or icy cold elements. It's a project that is at home anywhere. So go on and use your imagination to create a great sauna setting for your home. If you need some more relaxation inspiration, then Relax! Home spas made easy might be ideal. 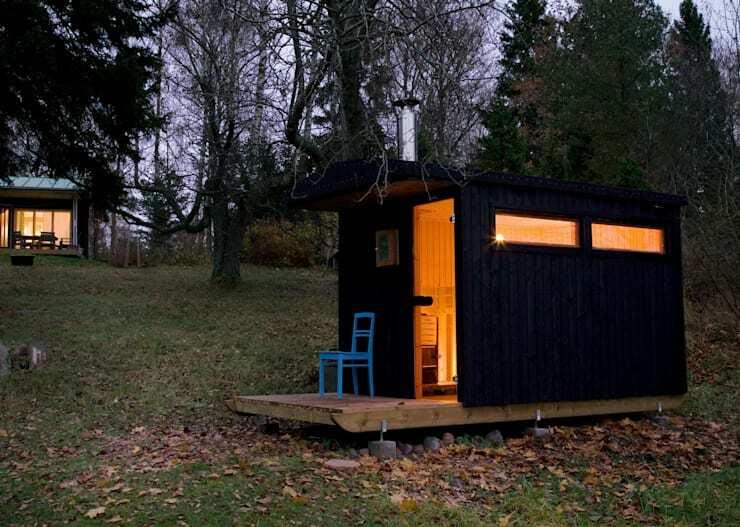 Would you consider a sauna such as this?